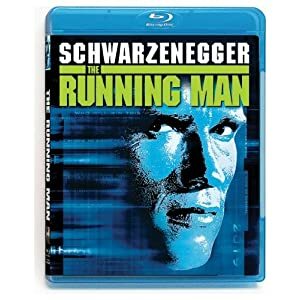 The Running Man is a wild and thrilling adventure of a film. Arnold Schwarzenegger is a former police officer accused of a crime he didn't commit. He ends up as a contestant on this sadistic game show which is like American Gladiators, but death match style. The contestants are criminals and they usually die in brutally horrible ways. The game show host is none other than Richard Dawson, former host of the real game show Family Feud. The film is loaded with more great one-liners from Schwarzenegger. If your guy likes those memorable quotations as much as I do, he'll love this movie. It makes a great present or stocking stuffer. See more Arnold Schwarzenegger Movies.